An upper ridge dominates most of Europe while an upper low is located over Algeria. A deep trough over Greenland pushes a short wave towards Norway. 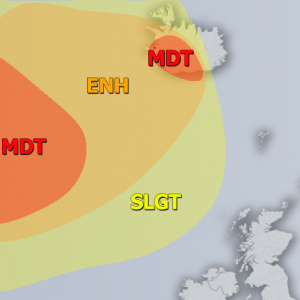 ENH / SLGT risks have been issued for parts of N Norway (Lofoten) with threat for severe to extremely severe winds, locally in excess of 120 km/h. 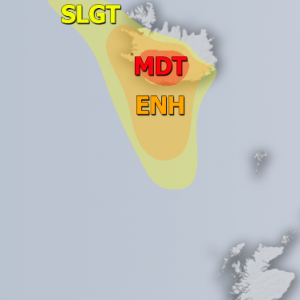 SLGT risk has been issued for parts of N Atlantic and N Iceland with threat for severe winds, locally exceeding 100 km/h. 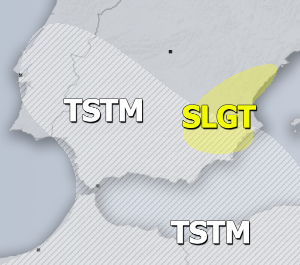 SLGT risk has been issued for E Tunisia into S Mediterranean and S Italy with threat for severe storms, capable of producing marginal hail, severe winds and torrential rainfall. Favorable shear parallel to the frontal boundary should lead into excessive rainfall threat across ENE Tunisia again, but also NE Algeria.